Just as we promised earlier: our back catalogue´s coming out on vinyl. Today – “The Mission”: heavy vinyl, color insert, re-mastered version. 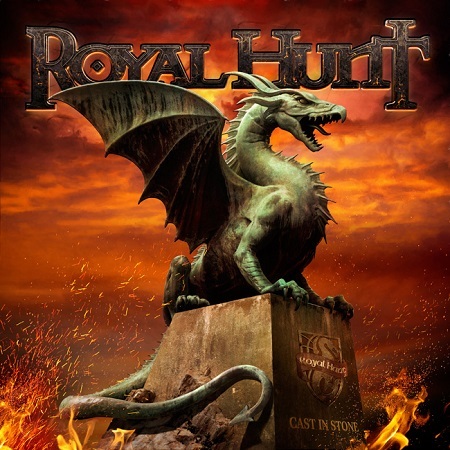 Royal Hunt´s latest album “A Life To Die For” has been released on a 180 gramms vinyl in a gatefold sleeve with a color insert. We´re going on tour to support our new studio album ”A Life To Die For” – check out the dates: HERE. Also check out our special guests Cloudscape on the European part of the tour (Feb. 22 – March 13). Don´t forget – the amount of digipack versions (CD + DVD) is limited, so hurry up! To mark the release day we decided to entertain you a little with a lyric video for the radio version of the title track. Marquee/Avalon released “One Minute Left To Live” as a digital single available on ITunes exclusively in Japan and SE Asia. Mixing´s done and the album sounds great – thanks to Micko Twedberg, Theo Theander and everybody at Roasting House for their hospitality. We´ve had a rather unexpected guest paying us a visit another night – Mr. JK himself, and we´re very happy to inform you all that his ability to twist a note or two out of his trusty guitar did not deteriorated one bit (old habits die hard, they say). Hope you´ll like his contribution to “Running Out of Tears” – a great solo for all of us to enjoy.